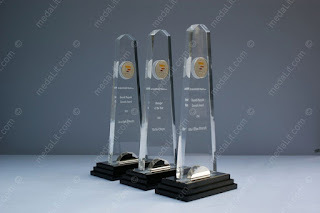 Acrylic trophies can be manufactured in a variety of shapes, colors and sizes. The most common styles are clear rectangular “Billboards”, star shapes, circles, and pyramids. 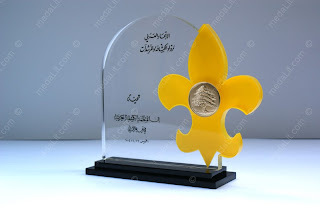 These are often engraved with corporate logos and personalized with the name of the recipient. 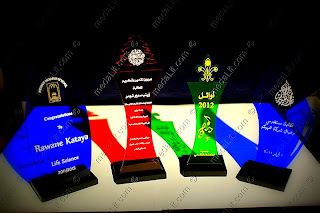 They are also used in awards ceremonies for many organizations. Acrylic can be cut into a variety of shapes, and corporations will often request custom acrylic items shaped like their products or logo.